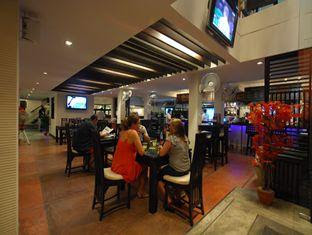 There are a few reasons for writing about the Yorkshire Inn (well, it used to be called that, now it's the Yorkshire Hotel), even though it's right in the middle of Patong, just a few minutes walk from Soi Bangla, the nightlife center. Normally this area is off my list. Patong is not my cup of tea. BUT I do recognise that many people like Patong, so you will find some Patong Beach hotel recommendations on the blog already such as Amari Coral Beach and Burasari. Reasons for including the Yorkshire Hotel on Jamie's Phuket... Well, firstly it's a great location if you want to stay in Patong. The street (Soi Sansabai) is just to the east of Bangla Road and yet is much quieter. I won't promise 100% noise free nights, but a few hundred meters can make a big difference. Second - recommendations from customers who have stayed there - I keep hearing how friendly it is, like a home from home, how the Yorkshire Hotel makes you feel like part of the family. Thirdly - the price. 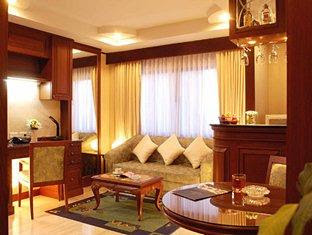 Check the link below for booking/rates on Agoda. I have had a few comments recently asking for more mid price hotel recommendations rather than the slightly fancy places I tend to write about. Yorkshire Hotel is a bargain. Fourthly - I lived in Yorkshire for a few years. Sentimental value. 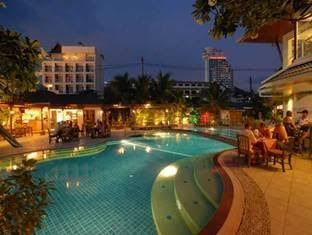 Fifthly - I used to work at a dive shop on Soi Sansabai and indeed met my wife at said dive shop. Double Sentimental value! So, great location (if you want the Patong vibe), good price... also, friendly personal service. 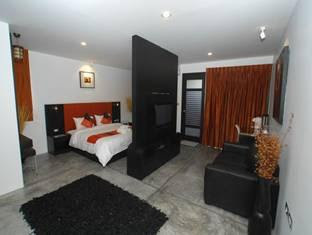 This is not a chain hotel, this is a one off. Rooms look decent and the pool great... and the food... Yes I know you are supposed to eat Thai food here, but the Yorkshire Hotel is not just a place to stay but has a well known restaurant which does good old traditional English food, just in case you miss home. A final word on the location - less than 10 minute walk to the beach, just a few minutes to the Jungceylon Shopping Mall. A few more things - free internet, free sauna, 2 restaurants, poolside dining... If you want a good price in Patong, I recommend the Yorkshire Hotel.